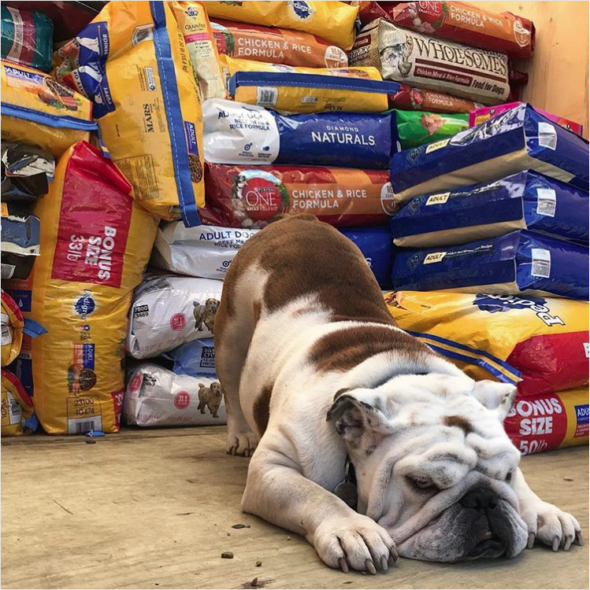 Home Official News Releases Happy 6th birthday, Griff! 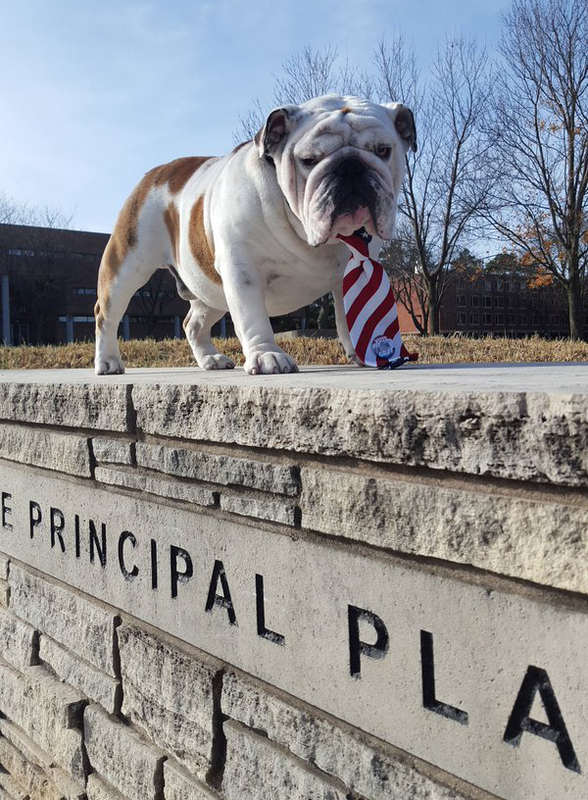 If you see Griff today, be sure to give him extra snuggles—Drake’s official live mascot is turning six today! 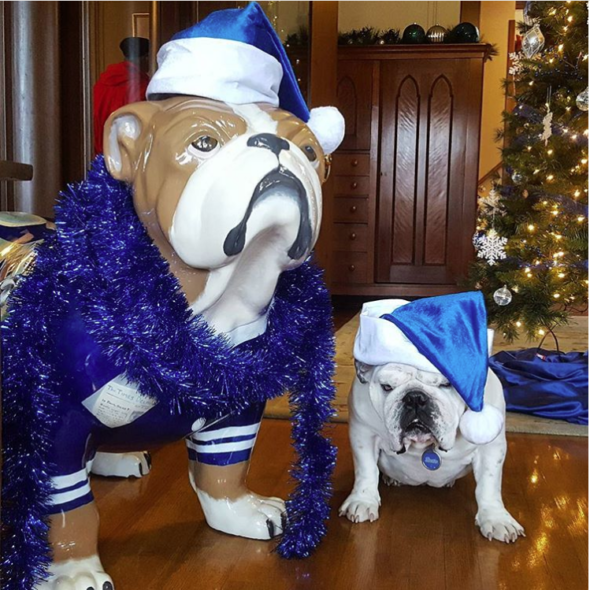 In honor of his special day, we’re taking a moment to appreciate everything this pretty pup has done the University. Here are six reasons to celebrate the Griff that keeps on giving. New Holidays—Holidays are great and everything, but no one celebrates them quite like Griff. Christmas? More like Griffs-mas. Halloween? 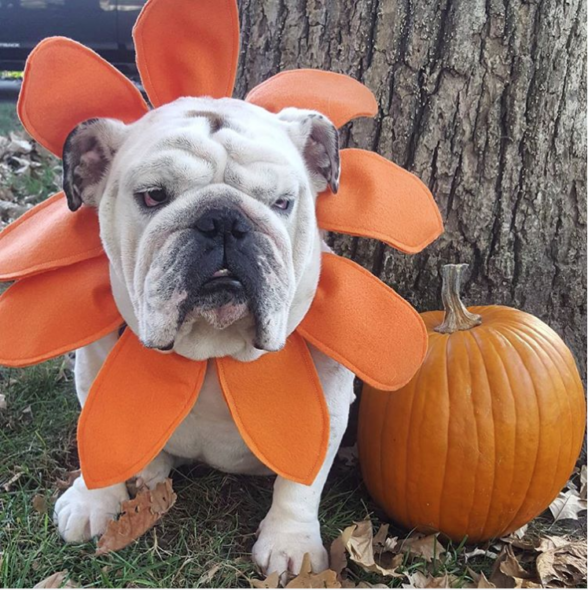 Try Griff-o-ween. 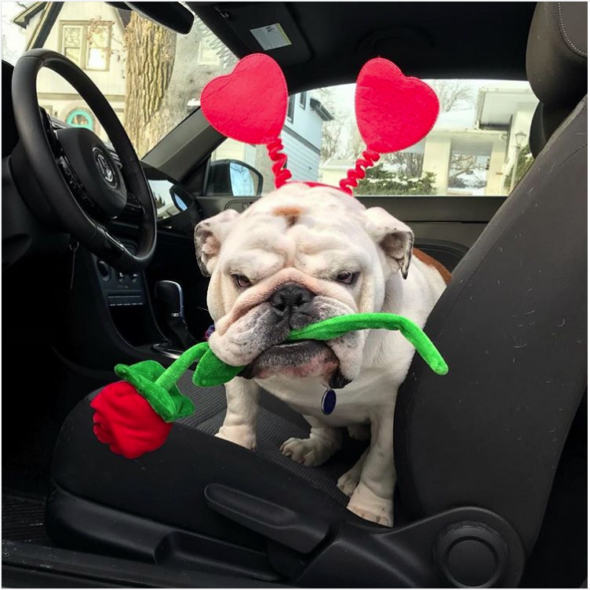 And who needs chocolates and teddy bears on Valentine’s Day when we can get a slobbery kiss and a song from the choir to celebrate Griffentines? Selfies and smiles—Griff never says no to a picture! 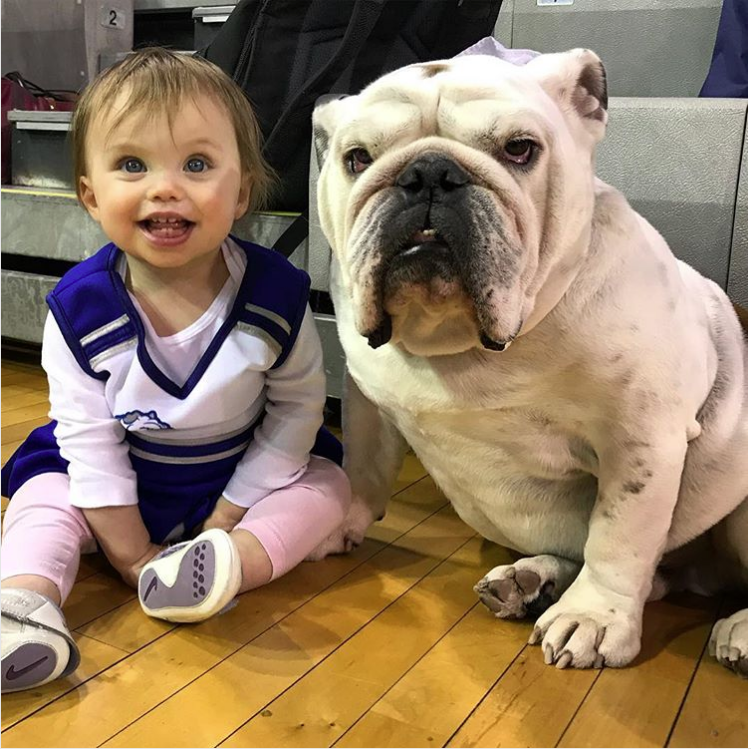 He has been in thousands of group shots and selfies with Drake students, alumni, potential future Bulldogs, faculty, and just about everyone else he meets. 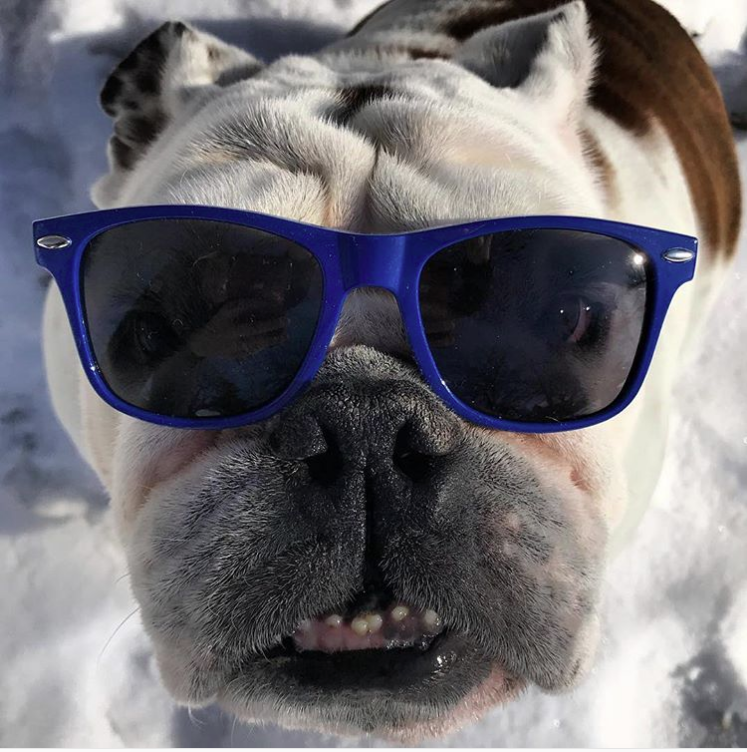 Fashion Trends—Drake’s live mascot may be more Instagram-iconic than that other Drake (@champagnepapi). 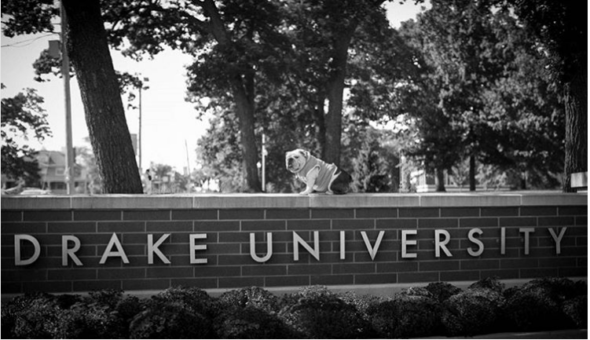 When Drizzy visited campus in the wee hours of a sad October morning, leaving us with only a selfie on our welcome sign to remember him by, Griff followed up with a dapper pose in the daylight hours. Himself—Of course, the best gift Griff has given us is the gift of Griff himself. 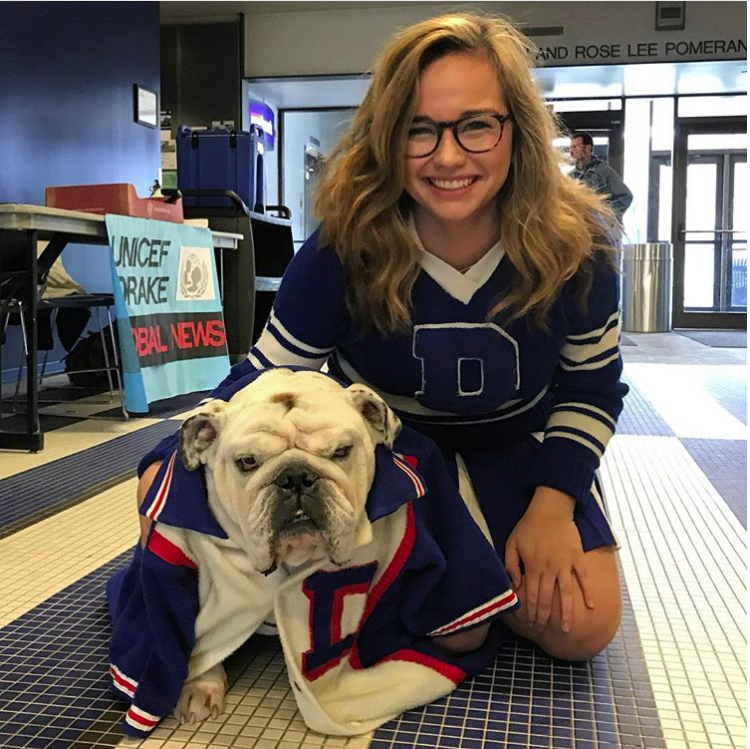 Who could ask for a better live mascot? 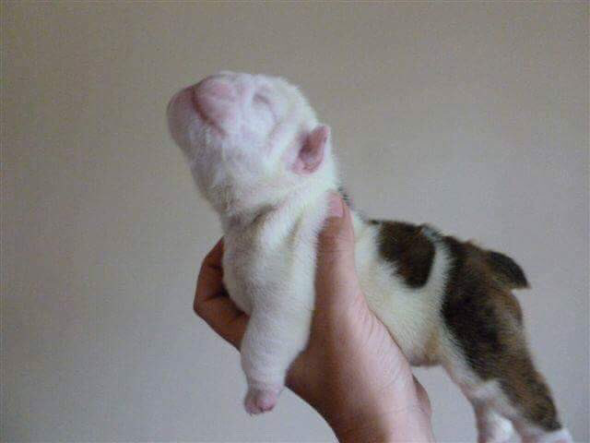 In honor of his birthday, here’s a picture of baby Griff to make your day a hundred times better!